We had a Delaware-themed episode scheduled for Saturday, and we realized the Thursday before that we were short a segment. So I contacted a woman from a previous shoot at Fort Delaware who was so nice to help us out last minute. What I thought was going to be a piece to fill time ended up being an awesome experience! We toured a perfectly preserved mansion from the 1800s and saw the world’s largest collection of operating steam cars. Auburn Heights Preserve and the Marshall Steam Museum are two of Delaware’s best kept secrets! Auburn Heights Preserve is Delaware’s newest State Park and home to the Marshall mansion. 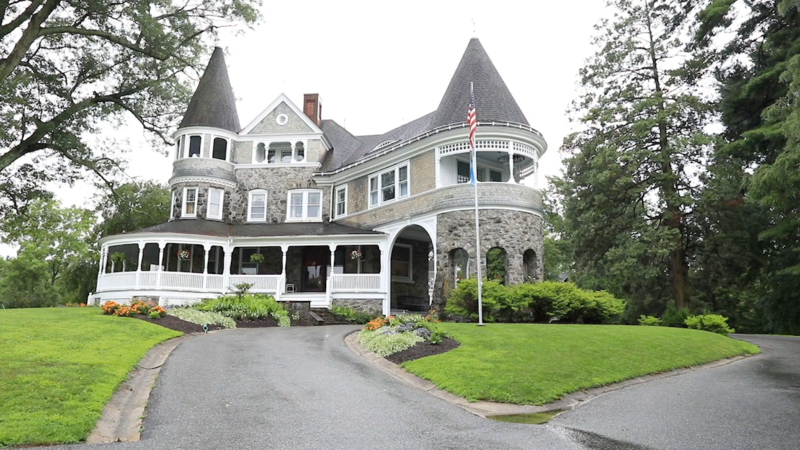 Built in 1897, the mansion was home to three generations of the Marshall family and is complete with original decor and furnishings from the 1700s to the 1900s. Also on the property is the Marshall Steam Museum, which holds the worlds largest collection of operating steam cars. On special event days, guests can ride on a train, tour the museum and mansion, and actually drive in a steam car! For more information, head to auburnheights.org.